A board book featuring one of Hawaii's most ubiquitous animals: the gecko. Your toddler will love following these geckos crazy antics as they goof around and have fun dancing hula, paddling a canoe, fishing, and more. 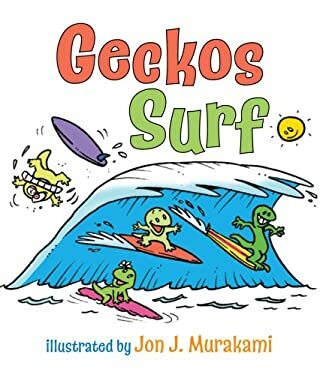 This book is part of a series featuring rascally geckos from Hawaii.